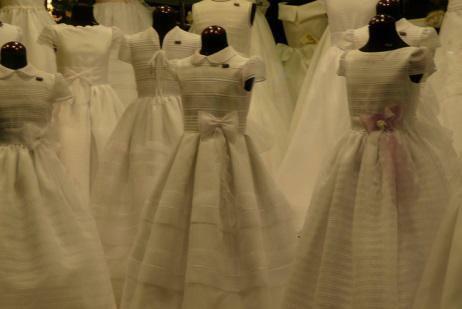 To support our school family we are planning to put together a selection of ‘pre-loved’ Communion dresses that families would be able to borrow for their own Holy Communion. I am sure, like many of the mums that work in school, there may be lovely Communion dresses packed away in wardrobes that have been used by the girls in your families that are now not needed but are too precious to throw away. Please consider donating them to school. Mrs Culleton and Mrs Sedgley have started the ball rolling by donating their family Communion dresses. Please see Mrs Toal if you are able to help or if you would like to inquire about borrowing a dress.